Life is all about taking chances, and nobody knows that better than JACK Entertainment so the Detroit-based company is betting big on the Queen City as its downtown casino reopens today as JACK Cincinnati Casino. The transformation began over a year ago with hundreds of people working thousands of hours to bring the company’s three Ohio properties together under the JACK brand. JACK Cincinnati Casino joins JACK Thistledown Racino which transitioned in March and JACK Cleveland Casino which transitioned in May. JACK Entertainment now has 3,200 team members in Ohio and contributes approximately $200 million annually in taxes throughout the state. 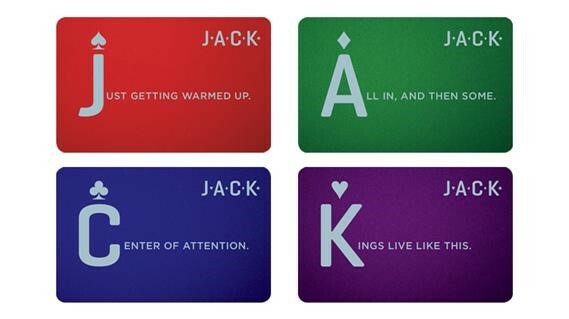 One of the most significant changes casino guests will experience is the company’s new loyalty program, ClubJACK. With this advanced rewards program, guests will earn points significantly faster than they ever have before. They also will enjoy free trips, gifts, complimentary benefits and more. Thousands of guests already have enrolled in ClubJACK. The Diamond Lounge has been renamed The Library, reminding our premier guests that they have a comfortable space to relax and raise a glass. The property’s premier steakhouse has been rebranded as Prism, where guests can dine on succulent steak and seafood dishes in an upscale environment. The company is introducing the Market District Buffet, a restaurant that embodies JACK’s commitment to serving fresh, seasonal foods. The concert venue, The Backyard, invites guests to sit back, relax and enjoy the show – right in their own backyard, the heart of downtown Cincinnati. One thing that will not change is our property’s team. The JACK brand represents the company’s progressive spirit, pursuit of excellence through innovation and desire to deliver guests with unexpected, delightful experiences around the clock. JACK is bold, creative and committed to urban revitalization, with a few surprises thrown in for good measure. The unveiling of the new brand is just one part of the equation. JACK Entertainment recruited the gaming industry’s most talented executives, assumed daily operations and installed the gaming industry’s most advanced technology in its three Ohio properties. 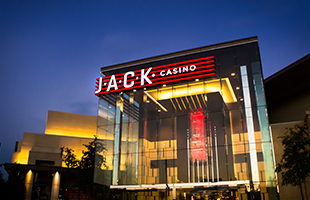 Guests are invited to JACK Cincinnati Casino on Wednesday, June 8, for a grand opening celebration that will last through the weekend. The party includes stilt walkers, podium dancers, showgirls, music and more. In addition, the Backyard will kick off its summer concert season with Patti LaBelle & The Commodores on Friday, June 10, and Dolly Parton on Saturday, June 11. In true JACK style, guests will have a chance to win a share of $25,000 in free play this weekend and a 2016 Cadillac CT6. The offers will continue to roll in with exciting promotions and offers every day of the year.